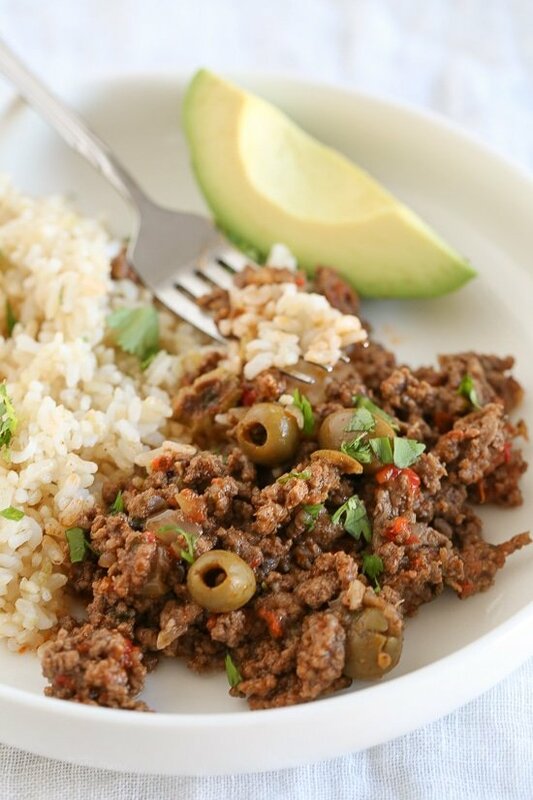 Picadillo is a Cuban recipe I grew up eating and is always on rotation in my house because it’s the most requested dish by my kids and it’s so easy to make. It’s an easy recipe and was always a favorite growing up! We love it served over brown rice (or cauliflower rice) with this quick cabbage slaw or a salad on the side. Leftovers are great to pack for lunches or I use the meat to a second meal for the week such as air-fryer picadillo empanadas, stuffed peppers, tacos, quesadillas and more! This also freezes well for make ahead-meals. I have recreated my picadillo recipe for the slow cooker and the skillet, but many of you have been asking for me to convert this for the Instant Pot (pressure cooker) so I was happy to do so! This turned out great in the pressure cooker and only took 15 minutes. When converting from slow cooker to instant pot, the ingredients stay the same, the only thing that changes is you can saute in the same pot and the time is much quicker. 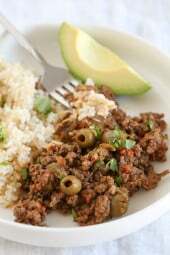 My family loves this beef version but I also make a Turkey Picadillo, if you prefer. You can also dice up potatoes to make Picadillo with potatoes, it’s delicious! Picadillo is the dish I make the most in my home. 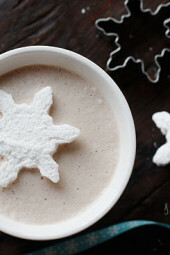 It’s the most requested by my kids and it’s so easy to make. Great over rice, in tacos and more! Press saute button, when hot brown meat and season with salt and pepper. Use a wooden spoon to break the meat up into small pieces until no longer pink. Add onion, garlic, tomato, salt, pepper and cilantro and stir 1 minute, add alcaparrado or olives and about 2 tbsp of the brine (the juice from the olives, this adds great flavor) cumin, and bay leaf. Add tomato sauce and 3 tablespoons of water and mix well. Cover and cook high pressure 15 minutes. Natural or quick release and enjoy! I have been wanting to try this for a while….finally bit the bullet. It’s a little out of the box for me but I’m so glad I tried it. I followed the directions with the exception of tomatoe sauce, I added the entire small can of tomatoes sauce. Full of flavor and very easy to make. I served with a half a cup of jasmine rice and the serving size was perfect. . I recommend trying if you are looking for something new. This is a really tasty dish. I made it this evening, pretty much following the recipe verbatim. The only item not listed that I added was two tablespoons of Worcestershire sauce. This kicked the flavor up a notch. 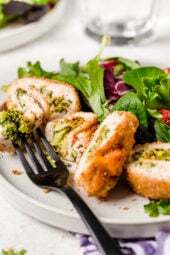 Very easy recipe and now a regular on our menu. Can I substitute sofrito for the cilantro? Same measurement? I made this recipe and found that it was lacking in spice. When I reheated the leftovers I added some seasoned salt and it helped alot. This is one of my many favorites from Gina. I make this often. I have it cooking right now to use in empanadas for our weekly Fun Food Thursday. This time I’m going to use the Greek yogurt dough instead of empanada disks. I should have mentioned that I use roasted red peppers from a jar instead of the bell pepper in the recipe. I started doing that when I didn’t have any bell peppers. I also throw in a can of diced tomatoes. This picadillo is so yummy! How do i cook with potatoes? The meat before adding the other ingredients? I don’t drain since I use very lean meat but if it’s not and there is a lot of oil then you can drain it before continuing. I really would like to try this, however, I do not own an instant pot. Where is the link to the slow cooker version of this recipe? I must be doing something wrong. Mine has read burn twice now before it even completes the preheating. And the second time, it really burned the bottom of the pot. I’ve now added a total of 3 cups of extra water. What could I be doing wrong? I have the Instant Pot Ultra 60. I’ve rates a 4 cause it smells amazing. My wife made this tonight. We couldn’t find any alcaparrado, so she used the suggested substitute of green olives with pimientos. She served it over rice with avocado slices on the side. It was fantastic! She added exactly the amount of liquid that was in the recipe and it came out perfect. Thanks for sharing this recipe. We will definitely be having it again! Made this for dinner last night. Super easy and so delicious! Going to use the leftovers for stuffed peppers. Thanks for the great recipe! Very disappointed in this recipe. It doesn’t call for enough water/liquid so it burns and the Instant Pot won’t work. I realized this after it happened and I checked the comments. The recipe needs updating. I expected more from this blog. Amazzzzing! Never even tasted picadillo and what a great surprise. I added 1 diced potato and used green olives stuffed with little red peppers. Thank GOD I took the peppers out! The olives were hot enough. Its a keeper! I LOVE this recipe. I just simply have to make it every other week, as (yes, I am admitting it) I’m addicted to it. I make it with ground turkey and I use Spanish Manzanilla sliced olives with pimento and lots of capers. I serve it with quinoa and sliced avocado on a side. We served this over quinoa and it was so great!! I think I accidentally posted this in the review section. Sorry about that. This will be my first IP recipe and I wanted to ask if I double the recipe: do I also use 8 ounces of tomato sauce? One whole onion; chopped four cloves of garlic; 4oz olives, etc.? Thank you so much. Nothing is mentioned about when to put red pepper in. I must have done something wrong mine did not have much flavor. It sounded so good so we were def disappointed. I wanted to make the picadillo and I also needed rice so I made a small change: I cooked for 10 min instead of 15 min HP, and used my 3″ trivet to make rice at the same time, pot-in-pot! It turned out great, and being able to do PIP was a huge time-saver!I figured 10 min would be enough since you are sautéing the ground beef up front.I left out the bell pepper (didn’t have any) and tomato (same), and added 1 cup tomato sauce instead of 1/2 c instead. I also added golden raisins because I love raisins in my picadillo. This is my first time using my instapot. What if my chop meat is frozen? Thank you in advance! I added a diced sweet potato and used grass fed beef. Amazing. While it cooked, I roasted a couple pasilla chilies, and I nce the picadillo was done, I stuffed some in the chilies and cooked them in the instant pot (on the trivet, using foil to keep them standing up) for 3 minutes. Doubled and used half ground sirloin, half brown lentils. Super easy, great flavor. Another winner, Gina! Hello. What insta pot do you use? Would this recipe work with a stovetop PC? Tried this tonight and loved it! So flavourful! Accidentally dropped in more tomato sauce than needed so it was a bit more watery than in the photo but the rice soaked it up really nicely. Will definitely make this again and am looking forward to trying it in different serving styles. Gina – I have been meaning to comment for awhile. This is the first recipe I ever made in my Instant Pot and it got me hooked! I’ve tried several other of your recipes- all excellent! Thank you so much for sharing. Thanks Kate! This is one of my favorites too! It says “salt and pepper the beef” while cooking. How much salt and pepper is this? It also says to add pepper with salt late on but again, no pepper recipe. Can anyone help? I found on online substitute which called for equal parts ground corriander, cumin, garlic powder, and paprika. By using the substitute I was able to leave out the salt too. I didn’t have pitted olives, so I just used the standard green manzanilla olives, ~18 of them or 1/3 cup. Next time I’ll finely dice these olives to have a more even distribution in the dish. I really liked the sweet of the raisins with the salt of the olives. Making this tonight and new to the IP. Is it just supposed to be on pressure high or bean/chili setting? I did use 3/4 cup sun-dried tomatoes and added a bit more water. this is a very good dish!! Hi! I was wondering if the same (ish) instructions apply if I want to cook this over stovetop? I don’t have an InstaPot… yet.. Loved this. My husband doesn’t like olives so I just didn’t put any on his plate when serving, he loved it and went back for seconds and thirds and just left the olives for my 6 y/o. Now I don’t have enough to make the empanadas tomorrow!! Lol glad he enjoyed it! This was my first Instant Pot recipe and to be honest I was a little nervous but the recipe was so easy to follow and the dish was delicious. Next time, I’ll add potatoes. I love your picadillo – so delicious! So I’m excited that you have made it using the Instant Pot. Thank you for caring about our health, Gina! I made this with freshly ground chicken breasts today and it brought the points down to zero!! I think I needed to season the chicken more when I was browning it, but otherwise, a success! I did have to drain it after browining the meat because it was very watery. How do I enter this into the weight watchers app? I want to properly track my points. I can’t find the bottled olives that you used so i will be olives that I grabbed from the salad bar. How much brine/juice should I use? I made this. Loved it. Found another recipe that had a lot more spices. More isn’t always better. I’m back. This recipe was very simple and so so tasty. I put it in a sweet potato and also used it when I made sweet potato nachos. Yummy! I made it a little differently tonight for the 1st time, I didn’t want to cook rice in a different pot so I added a cup of rice and 2 1/2 cups of homeade beef broth into the instant pot (after I sautéed the beef and onions, also used garlic stuffed green olives) and cooked for 30 minutes on high pressure(10 minute quick release. It it has been the best I’ve made! Also I wanted to say how much I love your site! It’s my weekly go to! everything I have made has alway been amazing ! Thanks Stacie! Glad you enjoyed it! Question and perhaps maybe the problem for others that had theirs get soupy. The recipe says 4oz or 1/2 a can of tomato sauce. A typical can of tomato sauce is 15oz, so if we put half of a normal can we are putting in too much correct? I’m sorry but I tried multiple times in the app and on the website,-and this is 5 freestyle points….very delicious though. 24oz of beef is 31 points. Was a little disappointed when I plugged it in. But like I said one of many delicious recipes that you have shared? I used the recipe builder and got 5 points, as well. It’s 31 points for 24oz of 93% lean ground beef on it’s own. Plus a couple more for the olives. Hi! Do you drain the beef or Turkey, before adding other ingredients? I’ve tried the slow cooker and stovetop versions of this recipe, and tried this version last night! I have a Duo 6 qt. 7-in-1. and used chopped olives with brine with all other ingredients as is. The flavor is great, It was a little liquidy but I just removed the picadillo from the pot with a slotted spoon, not a big deal. 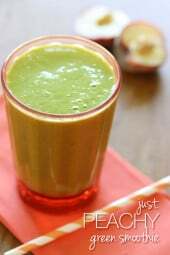 I love this recipe my husband is bunkers over it . Thank you ???? Pleasantly surprised at this dish. I had never heard of it and now it will for sure be a regular rotated meal. So GOOOOD! OMG. I didn’t have the mix so I just used olives and capers and it was devine. Even my SUPER picky teenager loved it….that’s saying a LOT.Thank you thank you! Absolutely love every single recipe I have tried from you. Thank you! Ok nobody is mentioning this so I guess I must be doing something wrong. Or I have a faulty instant pot… I can’t pressure cook this it turns off within 3 minutes, release pressure turn it back on and it’s off within a minute. We LOVE the recipe it’s GREAT just don’t understand what we’re doing wrong. I can’t rate this recipe even though it’s a 5, because I don’t know if your instructions are wrong or what. I’m sorry, don’t know what happened. Haven’t heard of that being a problem before. Gina you nailed it once again! I just got an instant pot and decided to give this recipe a try, and oh boy was it delicious! Thank you! I made the picadillo and added some potatoes and added the whole can of tomato sauce. When I switched to pressure cook after a while the pot read “burn” I took out the picadillo and finished it on the stove top. Was I supposed to add more liquid because I added the potatoes? It still was fantastic but would like to try again and hopefully not get the “burn” signal. The BURN notice is most commonly from the meat being sautéed and the fronds (the blackened bits) are not scraped from the bottom of the pot. Be sure to incorporate the fonds into the meat because it adds flavor. I would use the brine to deglaze the pot and then move-on to the next step. Best of luck! I was thinking about freezing for the Instant Pot. Here’s my thought – cook the beef and then add the other ingredients. Freeze in a round container, and then cook from frozen in the Instant Pot. Has anyone tried this, and did it work OK? New to Instapot. Would love to know if this works! Could prepare multiple servings ahead if it does. I have done the cooked meat prep & freeze for other recipes in the past. Eliminating the grease mess on a busy day is always helpful! My husband hates olives, so I will use capers instead. Do you recommend that I use some of the brine from the capers, similar to the olives? Or would that be too much? It was absolutely delicious. I’m so glad I tried this recipe. It will now be in rotation at my household. I fell in love with our instant pot even more. I put the nutritional information as listed here into the app and it gave me 4 freestyle points (8 for one cup), FYI. Could you add directions on how to use a stove top as well? Thanks! Is there a way to make this without olives? I think it sounds fantastic as is, but the others in my family are adamant against olives. Anything I could replace them with? Thanks! What special instructions would I need to follow if I just wanted to make this in a dutch oven? Thanks! Do you think I could your Muffalata salad (olive mixture) instead of the alcaparrado? Would it provide a similar taste? I can’t find the alcaparrado. Thanks so much for ALL of your marvelous recipes. They are superb. Looks great!! If I want to add potatoes, when would I add them?? With the beef, cover and simmer until they are tender. My kids love this recipe. My oldest recently married and when I gave her an Instant Pot, this was the first recipe she asked how to make! I made this with ground turkey over cilantro lime cauliflower rice. Delicious!! If you add diced potatoes – would you just put them in the instant pot and cook them with everything else? Making this for dinner tonight and wondering if brown rice is the best side for this dish or do you have other suggestions? Do you usually eat it on your rice or just on side? We had brown rice and sweet potatoes as our side last eve, so trying to come up with other options. Thanks. I had it tonight with riced cauliflower instead of rice to make it healthier. Delicious!!! I was wondering how i would adjust the points if I used vegetarian “beef” crumbles? This was quick, easy and delicious. Leftovers were enjoyed Sloppy Joe style with potato rolls. I will definitely repeat it and try leftovers next time with your Picadillo Quesadilla recipe. Yum! Also, I’m enjoying trying out your InstantPot recipes, keep them coming! How much saturated fat. I don’t see an amount. Thanks for all the great recipes! If I double the recipe, do I need to increase the time on the Instant Pot? Thanks! Hmmm this turned out very watery for me. I had to put it back on sauté mode after QR and reduce it down. I used half ground chicken and half beef. Could this be why? I made this and it was delicious. I have had this dish for breakfast (!!) in Mexico. Some people add raisins – a small amount, perhaps the same amount as the olives? Next time I make this I am going to try it. Also, some versions added leftover vegetables- not traditional, but why not? I always looked forward to the variety from day to day with the different veggies. Overall this is a great version with wonderful flavor. 5 stars for sure. I made this tonight with quinoa and my whole family loved it!! Thank you so much for a great recipe! It’s a keeper for sure!! Theresa–I’m new to the insta pot. what changes did you have to make to time/water for the quinoa version, sounds awesome! We don’t have an instant pot. What would be the best alternative cooking method? – Crock pot or a pot on the stove? I linked above to recipes for both versions. I have methods for both. We’ve made a few varieties of “Cuban beef” and this is our favorite. Unlike some others, not “burns your mouth” spicy (though a shake or two of cayenne could be added). Works with green bell pepper, too.Regarding the water amount: you may need to add more to get the Instant Pot to come up to pressure. The veggies do contribute some moisture, but works best if >1-1/2 cups of water total. It won’t be too soupy when it’s cooked. Where do you find the alcaparrado? I’ve looked in every grocery store around my area. I’m in Sacramento, CA. Thanks! Not all stores carry it, you can use capers or olives if you can’t find it. You can substitute the alcaparrado (which, BTW, has olives that are not pitted–careful with your teeth!) with manzanilla olives (the ones stuffed with pimiento) and a sprinkling of capers, if you have them. To be honest, sometimes I don’t even bother with the capers if I have enough olives. What I do add to this recipe (to make it more Cuban) is about 1/4 cup raisins and a splash of dry white wine. Cuban picadillo is (usually) both savory and sweet. Happy eating! Can I swap in pickle juice for the brine? I have enough alcaparrado, but I think I used up the rest of the brine making this in the crockpot. I will try this, recipe. Ty for sharing. Do u have an corn beef recipe for the pressure cooker.? Do you think this would work with ground turkey? I make it with ground turkey, and it’s delicious! Does the onion cook all the way through? Typically I would cook onion and then the ground beef to make sure the onion is cooked all the way (I’m new to insta-pot). thanks! Yes, it cooks the onion all the way through. I’m like that too, I can’t stand when onions are still crunchy after cooking. The instant pot does a great job of it! I use a 1/2 jar of green olives(that I mince) for this recipe.. when I double it(to make her empanadas) I use the whole jar. I have not made this yet , wondering if 3 T water will be enough liquid. Will it be too dry after 15 minutes? No! I followed it exactly, and it had plenty of liquid. Great recipe, but I must be doing something wrong. Added nearly 1/2 cup water and still got the “burn” message from my Instant Pot. Had to transfer to a skillet to finish. Tasted great, but defeated the purpose of using Instant Pot. This is really good and easy. Mine came out very soupy though. The first time I made it I just used olives and capers. This time I found alcaparrado by Goya in the store and didn’t realize that the olives weren’t pitted – yikes!. This is the first meal I have cooked in my Instant Pot, and it is absolutely incredible! It’s so flavorful, and it just melts in your mouth! My seven year old daughter said it was the best meal I have ever made! Thanks, Gina! This is a keeper! Do I add water to the instapot?